For the record, Birds of Prey and Batgirl will not be tied together, for those who mistakenly believed the rumors that Barbara Gordon would have a continuing arc through both films. And there is not a Gotham City Sirens project crossing over with Birds of Prey, despite rumors to the contrary. Charlene Amoia (How I Met Your Mother) is the latest actress to join Margot Robbie in Birds of Prey (And the Fantabulous Emancipation of One Harley Quinn). Amoia will play Maria Bertinelli, the mother of Mary Elizabeth Winstead’s vigilante the Huntress Helena Bertinelli and the wife of mafia syndicate gangster Franco Bertinelli. Thanks to Folie-lex for the heads up. EXCLUSIVE: Chris Messina has joined Warner Bros./DC’s Birds of Prey in the villainous role of Victor Zsasz, a sadistic serial killer who carves a tally mark onto himself for each of his victims. Zsasz will be working in cahoots with Ewan McGregor’s lead bad guy Black Mask. In addition today, Warner Bros. announced the rest of those cast in Birds of Prey, keeping their roles largley under wraps including Steven Williams (The Chi), Derek Wilson, Dana Lee (Dr. Ken), Francois Chau (The Expanse, The Tick), and Matthew Willig (The Ballad of Buster Scruggs). The Hollywood Reporter has confirmed this is the official title and not just the star having some fun. In the new film, Robbie, Winstead, and Smollett-Bell team up to protect Cain’s character when she comes across a diamond belonging to McGregor’s Black Mask, a kingpin in Gotham City’s criminal underworld. Ewan McGregor is joining Warner Bros./DC’s Birds of Prey as its villain Black Mask, Deadline has confirmed. Cathy Yan also confirmed onstage today what has already been out there and that is Birds of Prey will be rated R.
Rosie Perez (Rise) will play Renee Montoya. Montoya is a Gotham City police detective who would go on to adopt the masked identity of the Question in the comics. Montoya, who is a lesbian, rose to become one of DC's more prominent LGBTQ characters in the 2000s. SpoilerTV has learnt that filming begins January 14, 2019 for the upcoming DC movie. Mary Elizabeth Winstead (Fargo, 10 Cloverfield Lane, Braindead) has won the role of Huntress while Jurnee Smollett-Bell (Underground, Lovecraft Country) will play Black Canary. Warner Bros.' untitled Birds of Prey movie is flying into theaters, Feb. 7 2020, the studio announced Monday. Gugu Mbatha-Raw and Jurnee Smolett-Bell are in the mix for Black Canary. Janelle Monae was also said to be in the running but it is unclear if she tested for the role. Justina Machado (One Day at a Time) tested for the role of Renee Montoya along with Roberta Colindrez (Vida). The studio is looking to remold Cassandra Cain as a 12-year old and is looking for an Asian actress for the part. Being considered for the role of Huntress is Sofia Boutella (Kingsman, Atomic Blonde), Mary Elizabeth Winstead (Fargo, 10 Cloverfield Lane), Cristin Milioti (Black Mirror: USS Callister, How I Met Your Mother) and Margaret Qualley (The Leftovers). EXCLUSIVE: Warner Bros and DC Entertainment have chosen Cathy Yan to be the director of an untitled girl gang movie, likely the next superhero film to be graced by Suicide Squad scene-stealer Harley Quinn, in the form of Margot Robbie. A deal has to be completed, but it is expected that Yan will become the second female filmmaker to join the DC club after Wonder Woman‘s Patty Jenkins, and the first female Asian director ever tapped to direct a superhero film. Thanks to Dumble for the heads up. 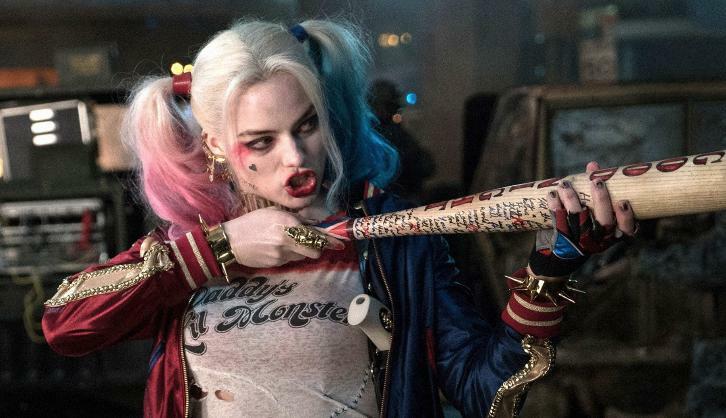 Margot Robbie’s Harley Quinn was undoubtedly the breakout character of last year’s Suicide Squad, so it’s unsurprising that the actor and Warner Bros. are developing a spinoff project for the character. Perhaps more surprising is the fact that it’s just one of a number of Harley-centric movies in development, and this latest one she's speaking of doesn't seem to have been reported on before.